Vesaro headed to Le Mans Moto GP and setup some fierce head to head racing action with two Vesaro Triple Display racing simulators. 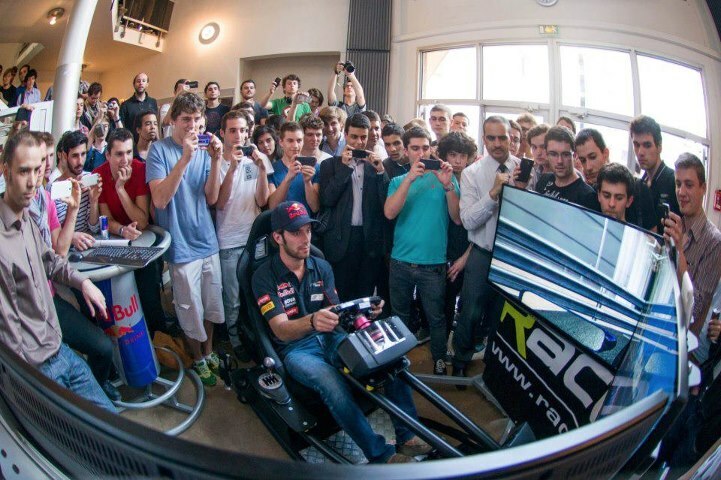 the Monster Energy rig played host to the amazing event that saw F1 drivers race YouTube Legends and World Champion Moto GP riders take on there on track competitors in some 4 wheel virtual action. Lewis Hamilton, Jorge Lorenzo, Cal Crutchlow, Valentino Rossi, Ali A and many others took part in the event over a 3 day period of racing.